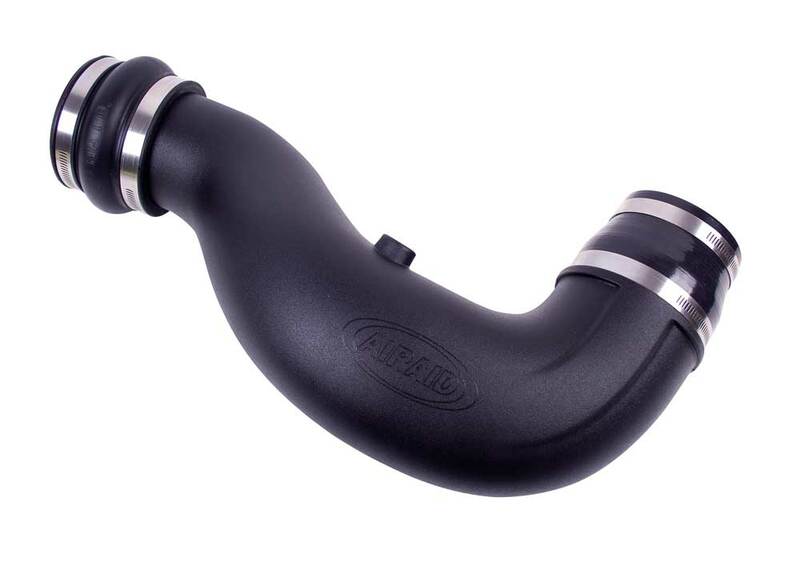 AIRAID Modular Intake Tubes (MIT) provide a smooth air way to the throttle body that improves air flow up to an additional 400 CFM over restrictive stock intake tubes in order to give your engine more horsepower and torque. MITs are constructed from cross-linked, high-density polyethylene they are built each for a specific vehicle make and model and can be used to simply replace your stock air intake tube or can be added to an AIRAID Cold Air Dam QuickFit series system. Installation is easy and can be done in only a few minutes with a few simple tools. Mounting hardware is included along with easy-to-follow instructions. Some AIRAID air intake components are not legal for sale or use in California and other states adopting California emission standards, while others are 50 state legal. View the product's vehicle applications to determine the legal status for each vehicle.